Today is going to be an exciting topic! YES! I’m finally going to share my experience with MoviePass! I posted about it on my insta-stories and every single time, I’ve gotten a lot of questions about it from my followers! So, I’ve been preparing to share my review of it with you all! So that no questions will be left unanswered! 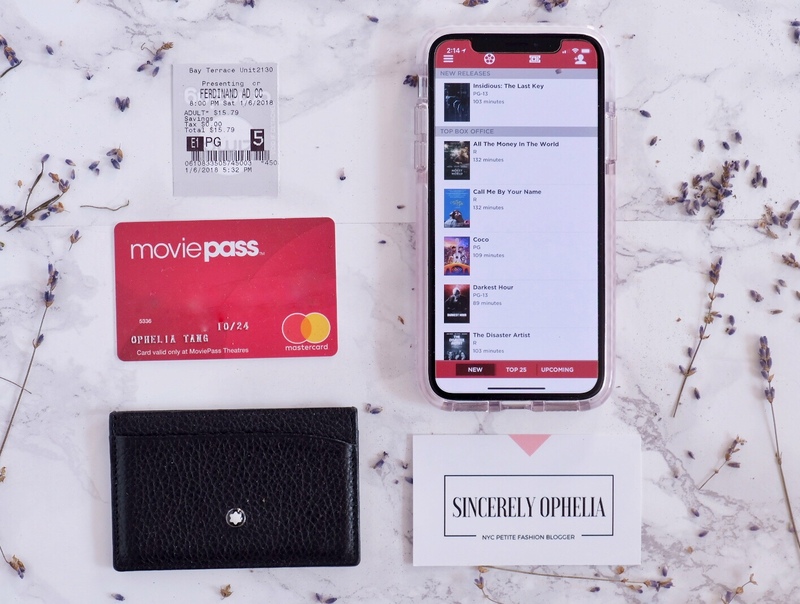 And for starters – this post is non-sponsored and I am sharing my experience with MoviePass only because many of you asked! So what exactly is MoviePass? Keep in mind that, you can only buy tickets in theaters and you cannot buy tickets online! It also ONLY works for 2D movies at the time. It does not work for special screenings, 3D, IMAX or the likes. It’s really as advertised – MoviePass is a subscription service where you get to watch one 2D movie a day at almost every theater for the price of $9.95 per month. There is no commitment, because you can cancel at any time! There are special annual deals that are offered here and there for a limited time for $89.95, which sets you to roughly $7.50 a month if you choose to go that route. When Will I Be Charged & When Does the Month Begin? You will be charged for your first month upon registration, but the start date of the first month does not start until you activate your card within the app, so you don’t have to worry. The recurring charge monthly will then begin on the day that you activate the card. So say, you signed up on 1/2 and was charged for the first payment, then you receive the card 1/14, you activate your card 1/16 and watch your first movie, your second month will be charged and start on 2/16. How Does the MoviePass Card Work? 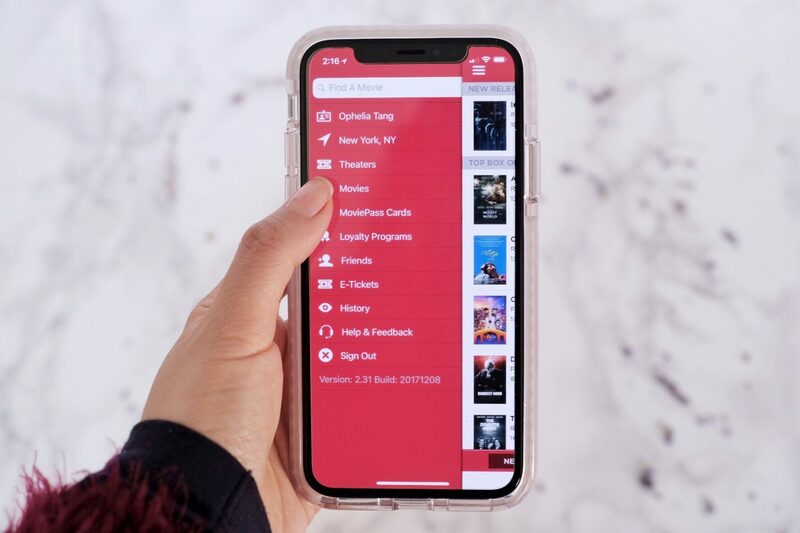 They send you a MoviePass debit card issued by MasterCard and you use it just like a debit card to pay for the movies – with the additional step of checking in using the app. You have to successfully check in to a movie, for the purchase to go through on your card. MoviePass is essentially paying the movie theater the full price of the ticket FOR you – once you pay that $10 subscription fee. It is truly as simple and easy as 1-2-3. You sign up for it online and wait approximately 14 days to get your card in the mail. You download the MoviePass App on your smart phone and activate the card. The process is immediate and takes less than 5 minutes. You check in to the theater location, movie, and show time via app. You go to the ticket register or kiosk and select the movie and show time you checked in for, and when they ask for payment, just hand them your MoviePass debit card and you’re done. Just keep in mind, you must make your purchase within 30 minutes after checking in via app. How Many Theaters Accept MoviePass? I believe MoviePass works at about 95% of theaters. I have only found 1 movie theater around my house that does not accept MoviePass. Almost all theaters in the city accept MoviePass. On their website, you can type in a zip code and it will show you which theaters accept MoviePass. You must be within 100 yards radius of the movie theater to check in to the movie and show time. If you’re farther away, you won’t be able to check in. You can only check in to a movie the day of. Meaning, you can’t buy tickets days in advance. For example, you can’t buy a ticket during the weekdays for the weekends. However, you can go to the theater earlier on a Saturday to buy tickets for a later show time. They allow you to watch one movie every 24 hours. So keep in mind, if you watch a movie Saturday night at 8pm, if you want to watch another movie Sunday night, you can only check in for a movie and buy a ticket on Sunday night after 8pm. What if I can’t check in? Can I Lend Someone My MoviePass? No, lending someone your MoviePass is against regulations and pretty much impossible. You are only allowed to connect your MoviePass account on two devices per year. So unless you lend someone your phone for the day, they can not use your MoviePass. I first heard about MoviePass in August, when it dropped it’s monthly fee from the whopping $50 to the below $10 price range. Quite a drop right?! My friend was getting it and was telling me how ecstatic she was to be able to watch any movie she wanted and suggested I should get it too. However, I was traveling a lot during the time and just didn’t have the time to jump the bandwagon until about October. I was hesitant to join another subscription service and wasn’t sure how long I would be into this, as I was not a frequent movie go-er. However, New York City movie tickets cost about $16-$19 on average, so I thought $10 is not a bad idea to at least give it a try. So, I went ahead and ordered me and le boy each a MoviePass. I figured we could go on more movie dates, or attempt to. Upon receiving the card, we went to see a movie that same day, and the first movie we watched was Thor: Ragnarok. Check in process was smooth and easy. I continued to try to watch at least two movies a month. Through my experience, the only thing I find annoying is that I can’t buy a ticket until the day of. It was really a hassle, especially since most of the theaters around my house are assigned seats theater with reclining seats. This makes it hard for me to get seats I want and I have to constantly check which theater around me has the seats that I want, before I head to the theater to buy tickets. It’s gets to be pretty nerve wrecking. Now, if you choose a theater that does not have assigned seating, then you would not have any problems. You can just waltz in 10 minutes before showtime and buy the ticket! Another problem raised is, what if you need to see a movie with a ton of friends and you don’t want it to sell out or they have assigned seating? Okay. Now, this is another hassle. For big movie releases, such as those from Marvel, DC, or Star Wars. You really have to buy tickets in advance with or without assigned seating, or they sell out. It’s tough because you can’t buy it in advance! So if you want to see the movie with friends, you probably have to pay out of pocket. That’s what happened for Justice League for me. As to assigned seating with a large group of friends, I had to personally go early into theaters and buy 17 tickets in order to assure assigned seats with friends. Nobody else could do the job but me, because I had to be the one to swipe my MoviePass and check in (unless I give my phone to someone for the day, which is nearly impossible.) So, there is a way around it, only more of a hassle. MoviePass does not require any commitment. However, if you do cancel it – you cannot sign up for it again within a six month time frame. MoviePass does not work in conjunction with AMC Reward Stubs. So you can’t rack up points using MoviePass. However, Regal gladly allows you to rack up points on their rewards system using MoviePass. As proper etiquette, make sure you check in successfully before you line up at the kiosk or ticket booth to buy tickets. This ensures you’re not holding up the line and makes everything more efficient. 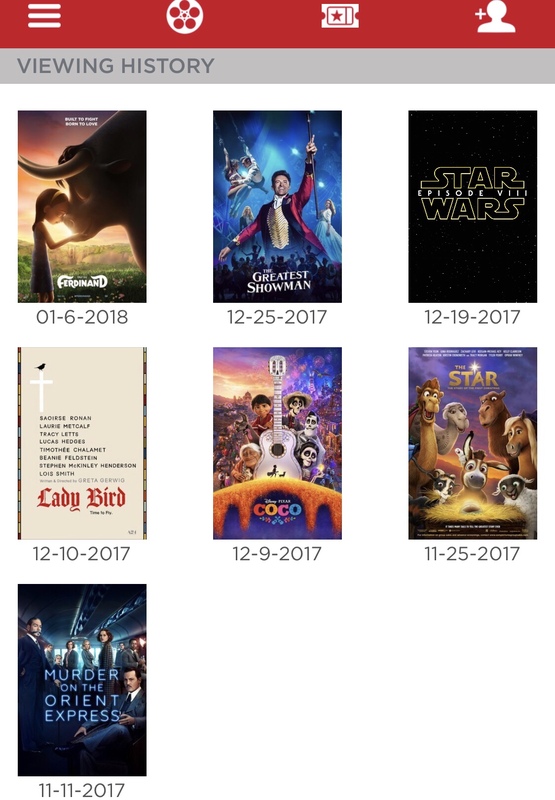 The MoviePass app has your viewing history so you can keep track of which movies you watched. For some strange reason, I’m missing a couple of movies on my list – such as Thor and Jumanji. However, you can tell I have been taking good use of my MoviePass! How about you? What do you think about MoviePass and would you try it? Write back and let me know! And if you have any other questions, don’t hesitate to ask me! Leave a comment and I’ll answer ASAP! Enjoy your week, lovelies! This post is not sponsored in any way. All opinions are unbiased and based on my personal experience. Previous Post Hello 2018. Farewell 2017! This is really interesting! I wish they have this where I live because it just seem so convenient and easy to use. I love watching movies and I think I’ll try it if only it’s available in my country. Haha Thanks for sharing! Very nice to know never heard of this service but it’s interesting to know that such services exist. Interesting. I might have to look into getting this. We go to the movies often so this might save us money in the end. You’ve seen a lot of good movies. I LOVED The Greatest Showman. We go to the movies A LOT, so I bet this would be worth a shot with my family! I wonder if my local theatre would accept it? Hi. If you’re in the US, over 95% of the theaters accept it. You can check their website moviepass.com and type in your Zip code. And can check which theaters it works for before you decide to take the plunge! We would go see more movies if it weren’t so darn expensive! It’s about $9 here for one ticket, so this would totally be a money saver! It would also get us at the movies more. I’m going to look into getting this for sure! Woah, this is actually amazing! I feel like I’d go to the cinema a lot more if I had one of these cards. I wish we had these in the UK. You can currently only buy ones for each individual cinema but they’re much more expensive. This sounds like a great idea. We don’t see a lot of movies (although in December we saw 3 movies in 3 days at Christmas time). But maybe we would see more if we were using this, since it would save a lot of money. Yes definitely. Before moviepass, I probably saw a movie every couple of months. This totally changed my pattern and experience! And a well worth it one too! Being able to just go see a movie with friends any time. Wow this is so neat! I will definitely have to check this out! I don’t really go to the movies alot because it is expensive here. However, if I were in the states I’d def get a movie pass. Thanks for the info. I love MOVIES! This would be a great idea for me! It would also make a fun gift for a movie lover! Good to know about this. I always use the booking app, will check out about Movie Pass. I’m going to check and see if they accept this around here. My neighbor and I both live alone so we love spending out weekends watching movies at the theatre. We need to sign up for this to save money. This is my first time hearing about MoviePass! $9.95 is a really good deal too. We should have this in Canada! This sounds really interesting.It seems Movie Pass is a great deal to watch movies from favorite theaters.! ahhh… that is awesome! we do not have it here. I simply download an app for the cinema and prebook my tickets. no special price, nothing. just the luxury of prebook a seat. I’ve heard of MoviePass before and never once was it anything bad! This is such a cool service amd honestly, for such a cheap pricing, who can pass that up?!! Thank you for the clarifications! We love movies and this Movie Pass sounds like a must have. Thanks for sharing. Wow this Moviepass looks awesome and a good way to watch latest movie with discounts! Do they also have group bundle promo? This is interesting and sounds awesome! I might consider getting one for me! This looks interesting. As a movie-lover, I want to try this one out! Thanks for sharing! This seems best for people who go out to the movies a lot. I tend to go to the theatre maybe a few times a year. But I could see where this could save some people a lot of money. We have a movie pass like this here in Austria and I used to use it frequently, now not so much since having our little one. Perfect for those who love to go to the movies. Wow. These seems fascinating. My first thought is that it seems too good to be true. But, maybe it is true. If it is, I would almost certainly see more movies. Thanks for the article! This sounds super cool. I need to see what theatres around me accept it. This sounds really cool, I need to check it out for my area! Wow! This is really great. Am going to check this out when I clear all my schedules, just taking a break from movies now. I think this is a nice way to watch your favorite movies. 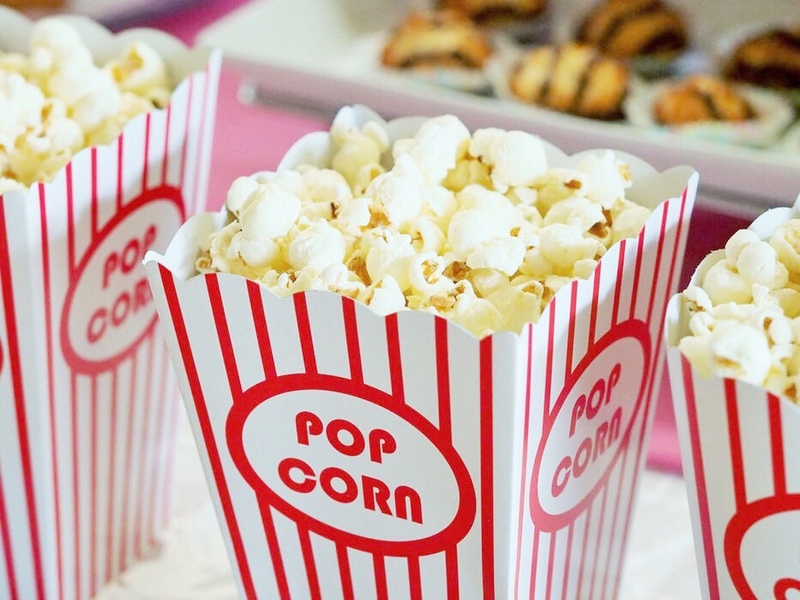 I love watching movies especially with friends and a box of popcorn. Haha! MoviePass is great. You can see unlimited movies in the theaters for ten dollars a month. The deal speaks for itself. The app has some functionality issues, and it’s hard to reach customer service, but these are small prices to pay.